Here you find the top questions about FLFE. If you have more questions, contact FLFE. 1. 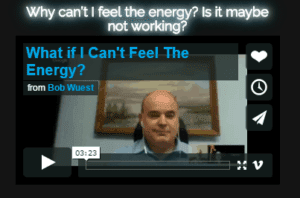 What is the energy, where does it come from? The Life Force Energy, known in the East as Chi or Prana, is a subtle energy found in abundance throughout the universe. We are currently exploring technologies that can detect and measure it. Even though the human body is very sensitive, not everyone feels it, but many do. We use kinesiology or muscle-testing to measure it. It is similar to the energy that runs through our meridians, as acknowledged by Chinese medicine. It is all around us all the time. Nikola Tesla and other scientists recognized it as the “ether” and created devices to redirect this energy. 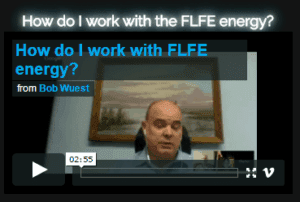 The FLFE technology is built on the same principles: it channels great amounts of the available energy and focuses it to create the FLFE field. 2. 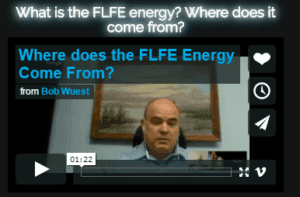 How does the FLFE technology work? There are multiple devices, all connected together with other components to provide back-ups in case of a fire or other interruptions. We call this the FLFE System rather than just a device. These devices look very similar to some of Nikola Tesla’s experimental set-ups. In the original device, high-speed alternating current is flowing through the stacks. There are stacks of cones, plates, coils, sacred geometry, high consciousness images, etc. There are input stacks that draw in the energy and one output stack that focuses the energy (which we call the FLFE Field) in a 8-1/2” x 11” area. In that focused area, we originally placed written instructions, which we call Programs. One of the breakthroughs we discovered was that putting a legal address or longitude and latitude coordinates in the program creates an association or resonance with the address or location on which is focused the FLFE Field and the Programs. The FLFE system creates quantum resonance, which is the ability to associate the FLFE system with an address or a location anywhere in the world. 3. 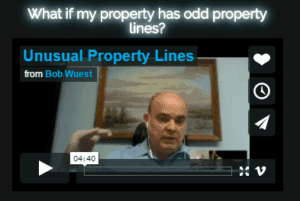 What happens if I don’t have a clear understanding of my property limits? The FLFE System requires a legal address or coordinates to associate with. The FLFE Field goes to the legal boundaries defining the property as registered cadaster, up to 5 acres. For a property larger than 5 acres, the FLFE Field goes to the 5 acres surrounding the primary residence, plus 300 meters stopping at the adjoining legal addresses. The FLFE Field associates with an area of 567 meters around coordinates, again stopping at adjoining legal addresses. In the situation where a property has been broken up into sections informally by the owner, the entire property gets covered by the FLFE Field and service. FLFE creates a highly energetic environment that the body can use for healing. Increased healing requires more water and so hydration is important. The full FLFE service can be put on a property with someone present knowing and encouraging others who may not be aware of FLFE to hydrate properly. 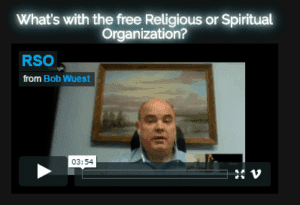 The free subscription for religious and spiritual organizations is a FLFE Field with reduced intensity designed for gift and public service, that doesn’t need notification. 4. Why do I feel the FLFE Home more than the FLFE Everywhere? FLFE Everywhere is a service that places a FLFE high consciousness field around an object (a cellular phone or a personal object). As measured using kinesiology on the Hawkins Map, the field is at 575 within four feet (1.2 m) of the object, at 565 within 15 feet (4.5 m) and at 555 within 300 feet (90 m). Generally, the more time a person can spend in a high consciousness field, the more benefits of health and rising consciousness they can receive. In addition to the greatly enhanced available energy in the FLFE Everywhere field, there are a number of FLFE Programs in the field that are active for the people to use for healing and other purposes. The Programs carry instructions that the body can entrain or synchronize with and benefit from. FLFE Everywhere has many of the same programs as FLFE Home/Business/Nonprofit, some that are different and it doesn’t have programs that are not appropriate for a moving object. Creation of high consciousness field. 300 feet wide sphere of high consciousness around the object, which moves with the object. Supporting people around the FLFE Everywhere object to rise in their level of consciousness of their intent towards the person holding it or wearing it. Grounding: FLFE Home/Business/Nonprofit uses the available energy to ground the person to the earth, similar to standing barefoot in the dirt. 5. 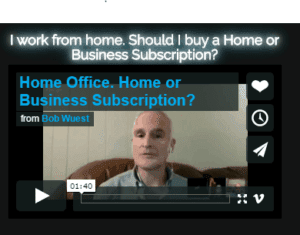 I often work from my home with my business, should I choose Home or Business FLFE? Many FLFE customers with home businesses or who work from home choose the FLFE Home subscription. The basic programs for enhanced personal energy, focus, creativity, relationships and teamwork are included in FLFE Home. The difference with the FLFE Business subscription is that the company itself goes on FLFE to clear any negative energetic residuals in the corporate entity. This can be very helpful if the company has a long history that may have included difficult times such as financial entanglement, bankruptcies, contentious ownership changes, difficult employee relations or trouble with suppliers. 6. How does FLFE affect the people in the apartments next to me? The FLFE Field is designed to have its full effect up to the legal boundaries of a property associated with the FLFE service. However, there is an effect beyond the property and into the neighborhood. A good analogy is a candle in the dark. The illumination lessens as you get further away, but you can still see its light. 7. I want to put this on at my work, do I need to tell others it is on? For the full FLFE service enhanced field, which is the paid subscription, we require that there is at least one person who is aware of the FLFE Field’s activation on that property, because of the need for hydration. The greatly enhanced energy available in the FLFE Field provides the body with high-quality energy, that it can use for healing and repair projects. All metabolic processes, including healing processes, require additional water for the healing and to remove the by-products of the healing. It is up to the person that knows about the FLFE Field to encourage people who spend hours in the FLFE environment to hydrate. In a business, posting a hydration informational poster is sufficient. We have an example in the FLFE Members section of the website. 8. What is the free Pay-It-Forward (PIF) subscription? The mission of FLFE is to support and create the optimal conditions for human evolution. We are raising consciousness and creating the optimal environment, one property at a time. A way to accelerate the spread of high consciousness is to give away a subscription for each one that is purchased. We are gifting each subscription owner an opportunity to designate a Pay it Forward (PIF) address for the reduced intensity public service FLFE Field. We will leave the property on the public service FLFE Field for as long as we continue the FLFE business. You may want to direct this gift to the home of a friend, or relatives… or to a refugee camp across the world (as an example). As long as we have a valid address or the latitude/longitude coordinates, we will activate the public service FLFE Field to that location. It is safe to associate FLFE with any location without telling anyone or getting permission. The public service FLFE Field used for the gifted PIF address is designed to be at a level of intensity and effectiveness that is lower than the standard FLFE Home/Business/Nonprofit subscription. It is permissible to gift this public service FLFE Field, since it does not have the same hydration requirements. It is a gift that will benefit the area by raising the level of consciousness of the property to 500 on the Hawkins Map. That’s the level of love. Prior to creating the Pay it Forward capability, we previously offered subscribers the option to freely add a Religious or Spiritual Organization (RSO) with their paid subscription. The RSO service has basically been replaced by the PIF service. (You might see or hear mention of the RSO elsewhere). 9. Others can feel the FLFE service, why can’t I? I don’t notice much so it must not be doing much for me. Is it possible that for some reason I would not be able to receive the effects of FLFE? If so how would I know and what could be done about it? There is a natural range of sensitivity to this type of subtle energy and you may be at the less sensitive end. We want you to trust yourself and check in with us if you are not feeling anything. Very occasionally we have a property with a rare condition that we haven’t seen before that prevents it from rising in consciousness as we expect. Once we have confirmed the level of consciousness of your home, these are some experiments you can do. If you are on the Free Trial, you can try sitting quietly and turning the FLFE service on and off. You could notice the sensations in your body when the FLFE service is on contrasted with when it is off. If you have a subscription, you could try walking off of your property and noticing any changes to your bodily sensations. 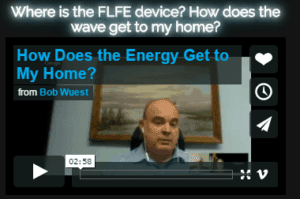 Another way to notice the FLFE field is to observe the reactions of others, perhaps other people or animals that you live with or visitors as they enter your property. The FLFE high consciousness field is helping you whether you can feel it or not. Your body can tap into the greatly enhanced available energy for greater personal energy, focus, quieting of the mind and healing over a period of time. Even if you are not sensitive to the energy, you can notice the benefits. We have also found that people become more sensitive over time and may notice the FLFE field more distinctly after several months on the service. We want you to trust yourself and your observations. Talking to a member of our team in the office may help as well. 10. 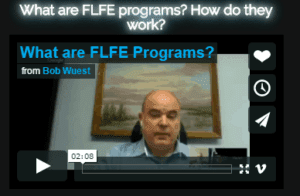 What are the FLFE Programs and how do they work? The FLFE Programs are instructions put into the FLFE Field by the FLFE System and through the association of the FLFE System with the property into the high consciousness field on the home or business property. These programs support the optimal conditions for health, sleep, focus, concentration and so forth. When our bodies are in the high consciousness field, energy is available to our body for whatever the body needs. The instructions generated by the programs are also available for the body to use for whatever is needed for the situation and the will of the person. The body entrains or synchronizes with the instructions and can use them for healing or whatever purpose is supported and needed. A similar phenomenon occurs when listening to music and you find yourself naturally tapping your feet to the beat. Every program on FLFE carries instructions that it only activates if it is in the highest and best interests of all of creation. 11. 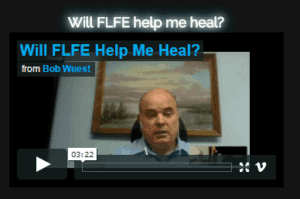 Will the FLFE service help me heal? The FLFE Field and service activates a high consciousness field in your homes or businesses. Our bodies can tap into that energy and use it for whatever is needed, including physical healing. The body’s innate intelligence does the healing, it now has many more resources to tap into, especially when in the high consciousness field all the time and not going in and out of the greatly enhanced resources of the field. The FLFE Programs carry specific health resources in the form of instructions that are available in the FLFE high consciousness field. Our bodies can entrain or synchronize with these health and other program instructions and can tap into them for even more accelerated healing. Still, the body’s innate intelligence does the healing, much like a spontaneous remission with the help of greatly enhanced resources. It does take some time for the body to work through the list of what needs healing. Please be patient and give your body a chance to tap into the greatly enhanced available energy and see what happens. 12. What are the specific health programs? 13. How is FLFE beneficial if my level of consciousness or my property is higher than 560? 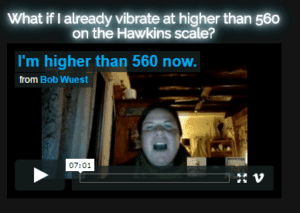 Perhaps you are an energy worker and have worked with many tools, and you tested your level of consciousness and it is higher than 560 on Dr. Hawkins’ Map of Consciousness. Perhaps your property is higher than 560 or FLFE is associated with a ‘sacred’ place on the planet that has a reading higher than 560. The FLFE Field facilitates a minimum level of consciousness of 560 (on Hawkins Map) on the property. The FLFE Field self-regulates the level of consciousness on each property to the most appropriate level. Some properties go much higher, depending upon the environment and the people present. 570 is common and some rise to the 590s and even over 600. We have one property at 630. For most people, 560 is the most appropriate level to receive the benefits and still function optimally in the world. It may be helpful for us to distinguish between a personal level of consciousness and an environmental level of consciousness. The FLFE Field activates a high consciousness environment for us to live in and work in. No matter what our personal level of consciousness is, an environment that is full of greatly enhanced available energy benefits us. The body can tap into the environment energy for physical health and healing. The body’s innate intelligence knows what needs repair and healing in the physical body. Many projects are waiting for the right environment in order to support the increased energy needs of the body to complete the project. If we are living and working in a low consciousness environment it takes more of our personal energy to compensate. The FLFE high consciousness environment can reduce or eliminate that energy drain. Our personal level of consciousness is always an average. It is an average over time and an average over all of the areas of our life/consciousness. In regards to the areas of our life/consciousness, our average could be 560 and some areas of our consciousness will be higher and lower than that number. Being immersed in a high consciousness field like FLFE will support the lower areas (which we all have) to rise and increase the speed of our evolution. In regards to averaging our consciousness over time, we all have our highs and lows. Being in the FLFE high consciousness field supports us to bounce back more rapidly from a low moment or set-back. It creates an upward support all the time we are in the FLFE Field, much like a trampoline, when we go low we are supported to bounce back up. 14. 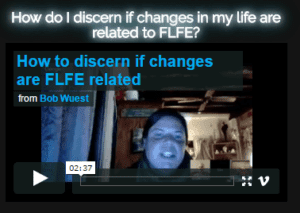 How do I discern if changes in my life are related to FLFE? The FLFE high consciousness field provides an environment for rapid growth and healing. It is up to you to provide the intention and action towards some goal or result. Our experience and the experience of our clients show that the results come much more quickly, and stuck or long-term issues are transcended rapidly. We recommend that you pick several things that you want to change that are important to you. Perhaps a habit you want to transcend or a new level of health or relationship. The key is to be clear and have a measurable result, if possible. You could keep a journal and track your results and use it to remind yourself of the intention and action you are taking towards it. Our Natural Abundance Magnetizing method is something we developed for this purpose. You could try that and see what results you get. 15. 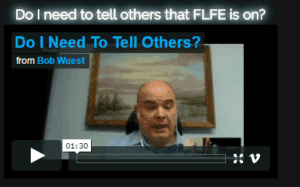 How do I work with the FLFE service? The FLFE high consciousness field provides an environment that can be used for rapid growth and healing. It is up to you to provide the intention and action towards some goal or result. It is a co-creative process. Our experience and the experience of our clients in a high consciousness FLFE field is that the results come much more quickly, so stuck or long-term issues are transcended rapidly. We recommend that you pick several things that you want to change that are important to you. Perhaps a habit you want to transcend or a new level of health or relationship. The key is to be clear and have a measurable result, if possible. Send an email to contact@flfe.net or call our office at 250-352-9909 weekdays between 9AM and 5PM PST. Even if you cancelled with PayPal, please phone or email FLFE to notify us of any changes in your subscription. Notice of cancellation must be received at least 5 business days before your next billing date. 17. How much magnesium and essential fatty acids should I be taking? Hello everyone! We would like to share some interesting new research and recommendations for you that we have talked about on a webinar. As we’ve shared earlier, essential fatty acids, particularly Omega 3s and magnesium taken together (within 30 minutes) are important support for our nervous system during growth. As we rise in consciousness, exponentially more energy is moving through our nervous system (what kind of energy is another interesting question). Electrical wiring needs a thicker or larger diameter wire when carrying more current and and our nerves also need additional capacity. A person spending 98% of their time at 600 on the Hawkins Map has nerves that are 3 TIMES the capacity of the average person. We further discovered that the limiting factor in our growth, for Clayten and I and for FLFE subscribers, is the nutrients needed to increase the capacity of our nervous system. Measuring the entire community, we are, as a whole, restrained in our personal growth by this. The nutrients we need are Omega 3 and magnesium in greater quantities. 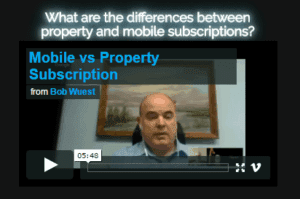 We have developed a starting point recommendation for you and the ratios of the two. We are seeing that the system often is ready and a relatively large jump in consciousness can occur when the additional nutrients become available. A good starting point (taken over a day) is 4000 mg Omega 3s and 1000 mg magnesium. Cold water fish oil is a very good source of Omega 3. You could experiment with taking more. After the initial discovery and push of 4 to 1 ratio of Omega 3s to Magnesium, Clayten and I have found with our testing that our body’s needs have settled down to a 7 to 1 ratio. This is giving us more Omega 3s. Our bodies are using up EFAs, especially Omega 3s at surprising clip, it appears. In the FLFE field we rises faster in consciousness which prompts our body to build a more robust nervous system and other rebuilding happening as a result of more energy can also use more Omega 3s. Its interesting to search on the web for the symptoms of low Omega 3s. Joint pain, difficulty sleeping, fatigue. Hmm…many of us has had these symptoms. You could say that insufficient Omega 3s is an ascension symptom! Hydration is of course most important and then you could try upping your Omega 3s. Of course see your doctor if you are concerned about your health. Our nervous system seems to upgrade as we rise in consciousness. We have found that the combination of Essential Fatty Acids (Omega 3, 6 & 9) and magnesium taken together at the same time supports the nervous system to evolve. Apparently the myelin sheath of our nerves rebuilds to hold more energy, more light. The EFA and magnesium supports that to happen. Finding Magnesium that is absorbs well for you can take some work. The type of Magnesium does matter. Some types are more easily absorbed. Magnesium Bisglycinate seems to be more easily absorbed by most people. 18. How do I log into my customer control panel? You have to visit the website address ccp.flfe.net and enter your username and password which were given to you in the first email you received after you subscribed/started a free trial. For more Questions and Explanations, go here.